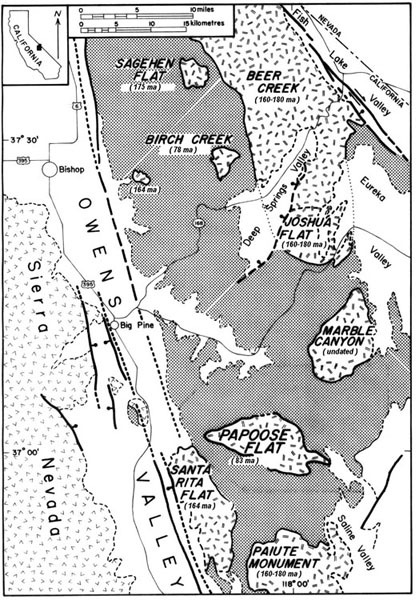 Locations and ages of granitic plutons in part of the Sierra Nevada, Owens Valley, and the White-Inyo Range, eastern California. Birch Creek and Papoose Flat are nearly contemporaneous Cretaceous plutons. The remaining plutons are Jurassic in age. Modified from map originally published by Sylvester and others (1978).